Simplify the process of managing the Scientific Review Board reviews by providing electronic access to all study information. The iMedRIS SRB automates the review process by integrating site activities directly with review board(s) and is ideal for public and private hospitals and universities as well as governmental research agencies. The software handles all types of research, including medical and social behavioral, fitting both private and public institutions alike. The system enables the research team to submit its regulatory forms electronically to the review board where the board triages and processes the submission, and reviews for ethical and regulatory accuracy. Any issues that are found during the review process are sent back for corrections to the research team. This process continues until the submission is approved. The system is built on best practice form sets that have been developed in collaboration with large and small institutions. These forms can be used out of the box to save configuration time; or they can be tailored to institutions requirements. Our Forms Designer allows for smart form development that include functions for show/hide of sections and questions, questions validations, branching logic to skip sections and questions that are not applicable, Online Help Text, and PDF print friendly to merge web forms direct to PDF. 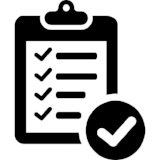 These functions streamline the process to aid the research team in filling out forms for submission creating quality submissions for the SRB to review. The system, in conjunction with the Form Designer, has a one-of-a-kind tool for creating workflows. The Workflow Designer tool allows for customizing the routing processes that are specific to your institution requirements. Workflow functions include the ability to use answers from questions on the forms to route the submission down directed paths for review. For instance, if the protocol application indicates that radiation is involved in the review, the system can be routed to a radiation safety board to incorporate other research oversite processes that exist outside of the SRB review process. The SRB module can be used as a standalone module or integrated into a suite of complementary modules such as IRB, IACUC, IBC, COI, etc.